I have become *that* woman. The one who gets jealous of the younger, skinnier, sexier, and yes….childless…woman. It all started recently when I found out that a friend split from his wife a few months ago and already had a girlfriend. Now, I am not friends with his wife and I have no idea what happened in their relationship but I found myself getting mad. I immediately made the assumption that his new girlfriend was younger, hotter and likely childless. I was really angry and downright jealous. I found myself thinking, “hmmm, must be nice to have some chick with no responsibilities who exists just to please you!” I mean really…wouldn’t it be nice if all I had to worry about in a given day was making myself look cute for my husband? Sadly, that is usually the last thing on my mind. Who cares about looking cute when there are dishes to wash, diapers to change and screaming children to tend to? Yeah, I’m sure some people would love to have a young, hot girlfriend. Maybe it would be exciting for a while to have someone who was so into you, and wanted to please you all the time. But you know what? I would be sad. I would miss my kids. I would miss the relationship with my wife. It wouldn’t be worth it to me. 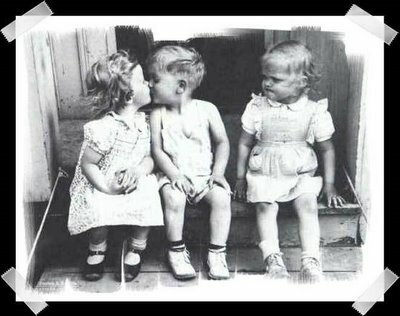 So yeah, I do get jealous when I see some young, cute girl who seemingly doesn’t have a care in the world. There are moments that I long to be her. But those moments are fleeting. As crazy as my life is, and as much as I really need a pedicure and a shower right now, I’ve got it pretty good. My husband can be a pretty forgetful guy but he is really good at reminding me how lucky I am, at the times I need it most. For sure…I would never want to actually be 24 again…I had no clue! But it would be nice to have my 24-year-old body back for a bit! Thanks for the comment! Yea, it be nice to be thinner and with less wrinkles. But, truthfully, I value the wisdom and knowledge that comes wiht the years. As for your husband….sounds like a keeper. I’d hold onto him for a while.